Affordability concerns are hitting cities outside London following years of house price rises. Homeowners in London, Oxford and Cambridge are accepting increasing discounts on their asking prices in order to sell their properties as the ‘London effect’ continues to ripple across the south of England. New figures from Hometrack show house price inflation slowed in all three cities in the past 12 months, following years of spiralling growth. While property prices in London increased by 8.6 per cent in five years to reach £488,000, the figures reveal growth of just 0.8 per cent in the past year. Prices fell in 16 of the 46 local authorities that Hometrack include in their London city figures. 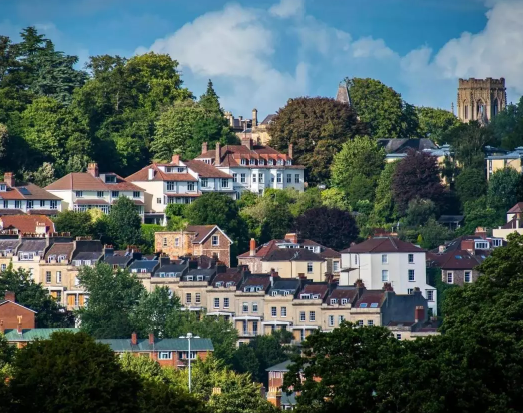 However, the top performer for house price growth over the past five years was not London but Bristol, where the average house price is almost half that of London’s. But, while property price growth in the South-Western city was up by almost five percent in just 12 months, sellers here were starting to discount asking prices as buyers' budgets faced a squeeze following rapid rises. Affordability pressures for buyers in cities across southern England also pushed homeowners to accept larger discounts in the past 12 months than in previous years – averaging 4.7 per cent – in order to sell their property. The gap between asking and sale prices increased in Bristol, Portsmouth and Southampton. But Hometrack says the largest discounts were in London and Oxford and in Cambridge. “The strength of house price growth and level of discounting from asking prices reveals how the current housing cycle continues to unfold,” said Richard Donnell, insight director at Hometrack. “The overall pace of city level growth has lost momentum as a result of virtually static prices in London and slower growth across southern England." “Weaker consumer confidence and modest increase in mortgage rates are also impacting demand and mortgage approvals for home purchase have drifted lower in the last quarter,” says Donnell. The only anomaly to this trend was Aberdeen in Scotland, where homes sold for an average of 9.6 per cent below asking price due to the decline in the oil price starting in 2014.“Weaker consumer confidence and modest increase in mortgage rates are also impacting demand and mortgage approvals for home purchase have drifted lower in the last quarter,” says Donnell. Other cities in the North and Scotland recorded above average house price growth in the year to April 2018. Manchester saw the strongest house price growth in the year, with prices up 7.7 per cent to £161,700. Homes in these cities were also sold at less of a discount from the asking price than they had been in 2015/16 financial year.Leicester was the second strongest performing city of the year, with prices rising 7.4 per cent to £171,000. Mr Donnell attributed this stronger performance to the relative affordability of these cities giving aspiring homeowners greater buying power.